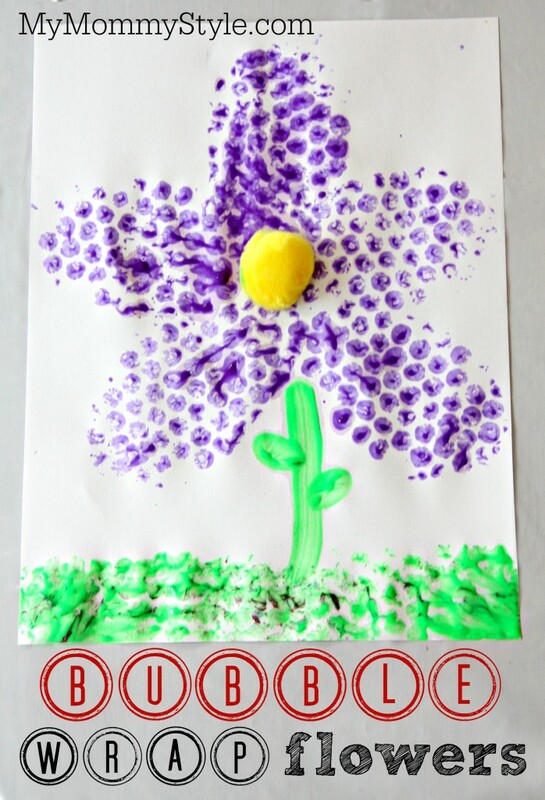 A fun flower art project using a stamp out of bubble wrap. My daughter had a lot of fun with this project. 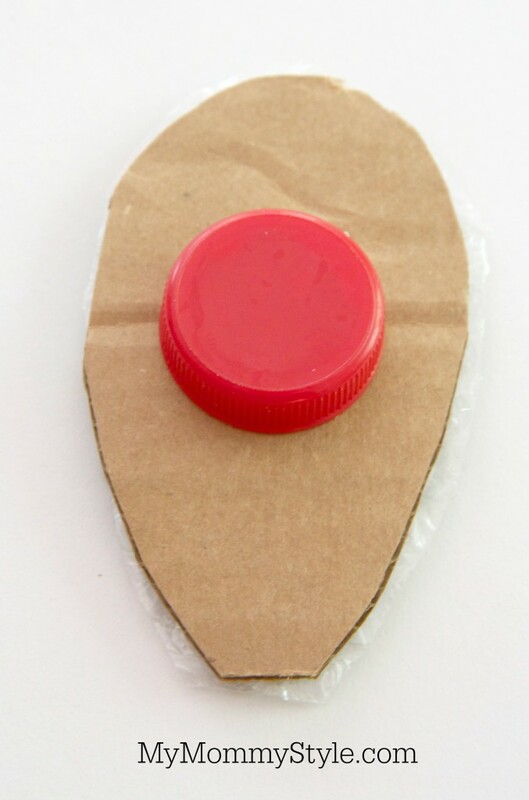 Start by making tracing a petal on cardboard and cutting it out and then use then cut out bubble wrap the same shape and glue together. Glue a lid from a milk jug on the other side and then you’re ready to make your flower. Dip petal in glue and press on paper to make a flower. Add a stem and some leaves to make your flower look however you want. Add a pom pom for the middle. 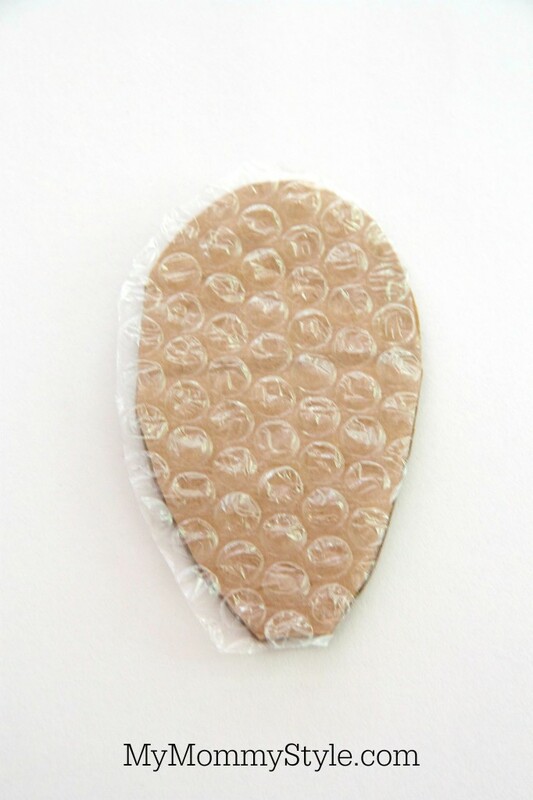 You actually could just cut the shape of the petal out of the bubble wrap and dip it in the paint like that. I found that is messier (which isn’t a bad thing, messy can be a fun sensory activity), but I did notice they lasted longer glued to cardboard. So it is up to you how you want to do it. If you’re only planning on one flower then gluing the bubble wrap on the back of the cardboard might be an extra step you don’t need. Have fun making your flowers!